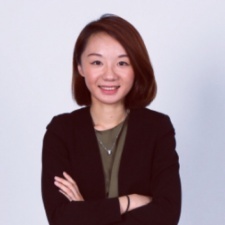 In today's Speaker Spotlight we're talking to Tencent, Strategy for ACE Publishing Program Miley Chen. At PGC London, she'll host a session on 'User Analysis For Premium Games In China'. Miley Chen: General info on the Tencent website. A bit of ACE Publishing Program background - Tencent founded the ACE Publishing Program to support and cultivate indie mobile games to publish in China in 2017. ACE stands for amazing, creative, explorative. My job is the planning strategy for the ACE Publishing Program and using my previous knowledge/network to look for more Western games. It's super fun every day. I can play games during work time. I can meet crazy talented people. Learning new stuff every day. Keep learning, never stop learning. The Chinese government approval had been shut down almost for one year. Lots of small developers were bankrupted. More Chinese games companies will publish games internationally. More gameplay like we saw on PC will be brought to mobile in China. It has changed a lot in many ways. In 2014 lots of Chinese companies went out overseas to license Western mobile games in China. While now, of course, that's still happening, we can also see more and more Chinese games topping charts in the West.